The passenger stock has been receiving a bit of TLC recently, a bit of fresh paint. Up near the passenger station outside L Shed, some groundworks are under way. Work on Henbury’s 10 year overhaul is progressing well. The boiler has now been lifted from the frames (courtesy of Crane 32 with shunting assistance from Portbury). The boiler has been placed on a trolley and taken back to the engine shed, while the frames were lifted and turned 90 degrees, then placed on a temporarily-laid piece of track so they could be pushed into the workshop. The cab and other items are also inside. During certain running days, visitors to M Shed can see work taking place and even make a donation to the overhaul. There are photographs of the boiler lift on display to show the process. The above sequence shows the lift. Above: The boiler, cab, frames and tank all separated out. Meanwhile, Portbury is running the scheduled services. 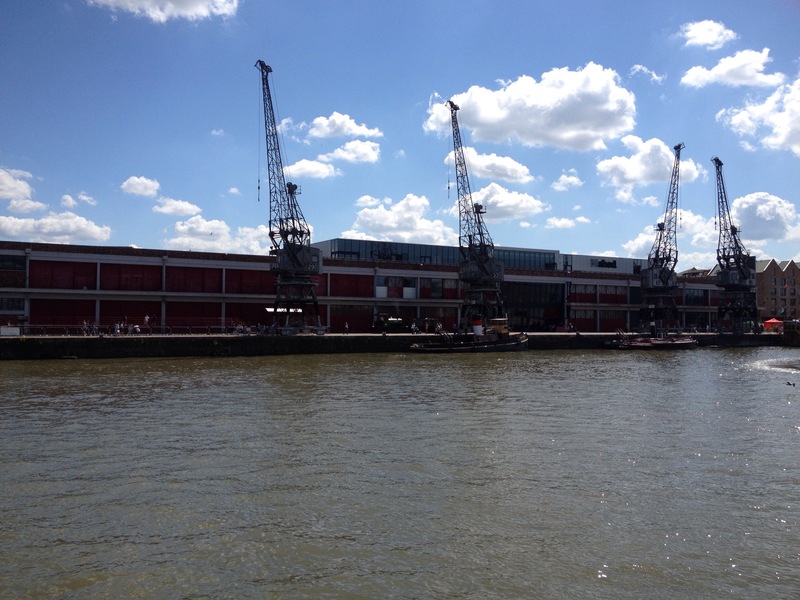 This weekend is the last operating weekend of the season, with trains running from M Shed and alternating down the branch to Vauxhall Bridge and the quayside line to SS Great Britain. Here are a few shots of Portbury at work last weekend. Henbury’s tank has now been lifted off and is pictured here stored on a handy flat wagon on the quayside. This shot from Vauxhall Bridge shows that the majority of the fencing between Cumberland Road and the railway line has been removed. This is to be replaced and strengthened to prevent a metrobus going through the fence in the event of a collision. Down at Sugar Quay/Whapping Wharf, the first phase of the new housing is nearly completed. This features a walkway that connect Gaol Ferry Bridge to Museum Square. The small open passenger wagon, based on a ‘Conflat’, is currently outside the workshop for some maintenance. The advantage of basing this vehicle on a container wagon is that the whole passenger ‘tub’ can be lifted off, making access easier. Another flat wagon has been brought up to accommodate the tub. It’s handy having huge cranes about the place! The buffers have been removed from the Conflat, fresh timber added, and refitted. 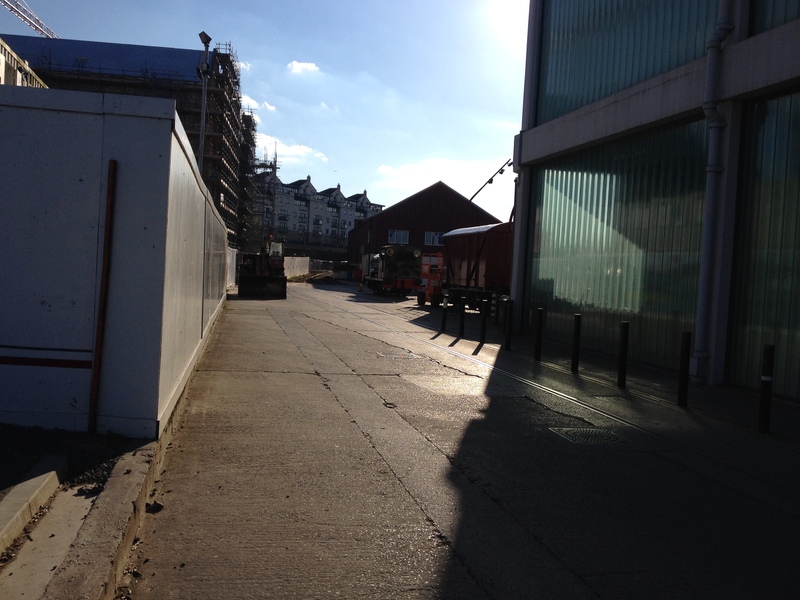 The MOGO is currently housed in the engine shed while work continues on the roof. The van is pictured outside in the company of ‘Kilmersdon’.